Our products are excellent hand weaving with fashion design. After using the product for a period, clean it with light salt brine. We release many new products monthly to meet the latest market demand. 2. Good UV radiation, high temperature resistant, weather resistant, color fadeless. We have designers in the office to design furniture for OEM and ODM customers,and other Value-Services. However, the assembly is rather easy, you just need to follow the instructions. Product Categories Rattan Sofa Set Bamboo Like Furniture Plastic Wood Furniture Textileen Furniture Aluminum Furniture Brushed Aluminum Furniture Stainless Steel Furniture Steel Furniture Umbrella Umbrella Base Sun Lounger Selected Products New Products Product Information: Item No. BZ-CR008-1 Description outdoor dining chair Material PE wicker +aluminum frame Packing carton/carton paper Loading Quantity 1352pcs / 40HQ Payment Term deposit when placing the order,70% balance against the copy of BL MOQ 34'HQ that you can mix 4 different items Shipment By sea or by air for samples. Warranty 2 years warranty start from you receive the furniture. We went through limitless styles of outdoor accessories to bring the best solution for each of our customers. Our services create the highest quality of outdoor living experiences, giving our clients a whole new concept of expanding their outdoor living space. We take pride in accomplishing the IN & OUT living concept by aiding our clients to understand the key to modern, elegant outdoor installations. 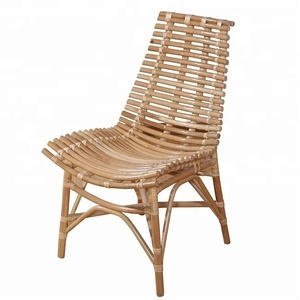 Alibaba.com offers 21,190 wicker dining chair products. About 21% of these are rattan / wicker chairs, 18% are dining chairs, and 2% are plastic chairs. A wide variety of wicker dining chair options are available to you, such as rattan / wicker, plastic, and metal. You can also choose from no, yes. As well as from modern, antique. And whether wicker dining chair is free samples, or paid samples. 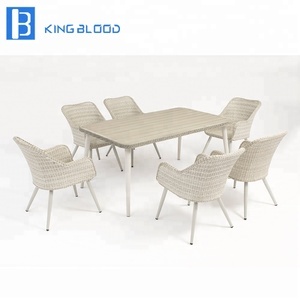 There are 20,746 wicker dining chair suppliers, mainly located in Asia. The top supplying countries are China (Mainland), Vietnam, and Indonesia, which supply 93%, 3%, and 1% of wicker dining chair respectively. 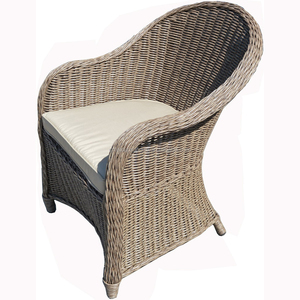 Wicker dining chair products are most popular in North America, Western Europe, and South America. You can ensure product safety by selecting from certified suppliers, including 1,585 with ISO9001, 1,288 with Other, and 685 with BSCI certification.